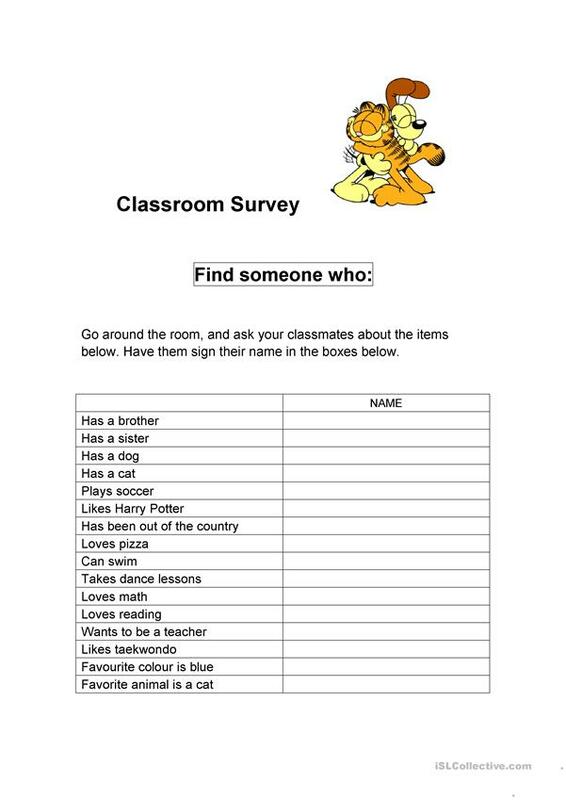 It is a getting to know each other worksheet where students ask each other questions. Students write down the answers. The present downloadable printable is intended for elementary school students at Elementary (A1) level. It is a useful material for revising Word order in English, and is a valuable material for developing your pupils' Listening, Spelling, Speaking, Reading and Writing skills. It is about the vocabulary topic of Debate. briankelley252 is from/lives in South Korea and has been a member of iSLCollective since 2012-03-06 05:06:46. briankelley252 last logged in on 2019-02-22 01:47:48, and has shared 1 resources on iSLCollective so far.